Nose: Sweet sultanas, sugared jelly lollies, and macadamia nuts. The nose is quite rich. Palate: Sweet and nutty (both macadamias and almonds) with plenty of brown sugar. Some slight canned fruit-salad notes at the back. Mouthfeel: Smooth, dry, and mid-weight. Slightly warm. Finish: Dry, chewy, nutty, and a slight warmth that fades quickly. Apart from the warmth, this finish on this whisky lasts a really really long time. This whisky really reminds me a lot of the Teeling Single Grain (and not just because it’s a single grain whisky), but smoother, and nuttier – they have a similar flavour profile, and the same burst of energetic lightness at the start. This whisky was a single cask, single grain, whisky that was distilled in 1988, and bottled in 2009. It was aged in a single ex-Bourbon hogshead barrel, and was bottled at cask strength with an ABV of 55.4% with no chill filtration. 258 bottles were filled form the cask. The Port Dundas distillery, which sate beside the Forth and Clyde Canal in Glasgow, once the largest distillery in Scotland, and a founding distillery of the Distillery Company Limited (now part of Diageo), was closed in 2010 – just one year shy of its 200th birthday. The distillery was demolished in 2011. 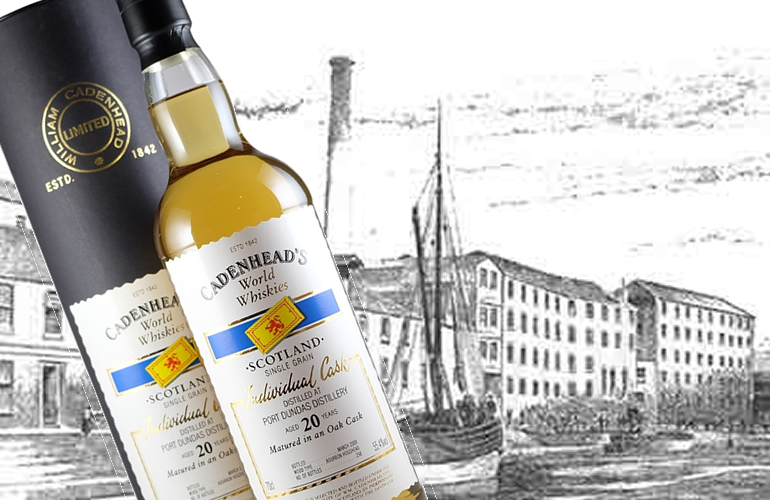 Most of the production from Port Dundas was moved to the Cameronbridge Distillery which is also owned by Diageo, with the remainder relocating to the North British Distillery which is a partnership between Diageo and Edrington.